Mrs Besome is organising a Grand Pet Parade and all the kids are going to bring their pets. Even Dulcie – which is strange, because Dulcie doesn’t have a pet. But somehow, Dulcie finds herself putting her hand up in class and telling everyone that she will be bringing Muriel. Now, all Ducie needs to do is to find a Muriel before the big show. As luck has it, Dulcie and Dud do find a Muriel. ALl they have to do is find a place to put her (if she really is a her) until the big show. Can they keep the really secret secret, and will Muriel win the pet show? Dulcie and Dud and the Really Secret secret is the fourth Dulcie and Dud book from author Carol Ann Martin and illustrator Janine Dawson. 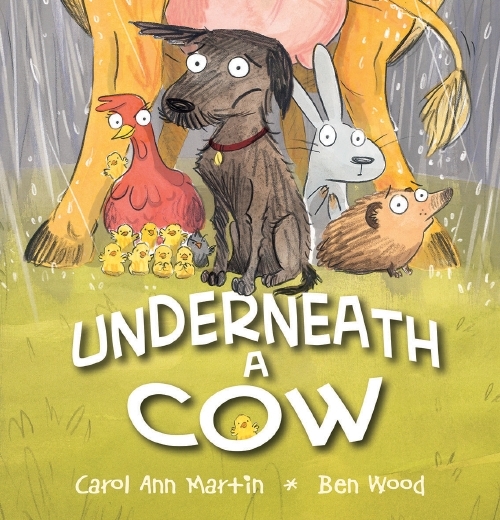 The combination of fun plot, endearing characters and clever line drawings makes for an entertaining book, accessible to readers aged 6 to 8, making their transition from picture book texts to early novels. Portia Pratt has started a club and has asked all the poeple she likes to join. Dulcie and Dud haven’t been invited, but they don’t care. They’re going to start a club of their own and aks their friends to join. Dulcie’s new club is called the Invisibles, becuse they like to do things invisibly. Things like surprising their teacher with flowers, or cleaning Mister Barker’s chalkboard. But the invisibles need to do a really big good deed if they want to do better than Portia’s club. Then the children hear about Mister Braithwaite’s problem. Mrs Rossi is trying to get him to sell his home and move out – but all he wants is to stay in his house. The only thing it needs, he says, is a coat of paint. Enter the invisibles, with a great plan for helping Mister Braithwaite out. Dulcie and Dud and the Really Cool Club is the third book about these loveable characters. This self-contained episode is both humorous and easy to read, making it an ideal first novel for 6 to 8 year old readers. Author Carol Ann Martin has written numerous Cocky’s Circle books,as well as another children’s novel Waiting for Jason (1995). She is well supported in Dulcie and Dud by the comic line-drawings of illustrator Janine Dawson.